Losing your home is never easy, no matter what the circumstances are. However, you can make the experience less frustrating, upsetting and stressful by preparing yourself for the loss of your home while you're still going through the foreclosure. Foreclosure usually ends with the lender publicly auctioning off your home to the highest bidder, but the lender may become the new owner if no one buys the home at auction. Moving out before the lender finishes the foreclosure may put you at a disadvantage, whether you can save your home or not. For example, you might qualify for foreclosure help through local housing programs if you're still living in the home. You're still the legal owner of the home until the lender auctions it off, so you're legally responsible for what happens on the property until it has a new owner. Staying in the home rent-free until you must leave may help you save for a new place to live if you can't stop the foreclosure. Prepare to move so you're not stressed out at the last minute trying to pack. Start packing up your belongings once you get notice of the time and date of the foreclosure sale so you're ready to go at a moment's notice. How long you'll have to move depends on area foreclosure laws and whether someone other than your lender ends up with your home after auction. Check local foreclosure procedures so you have an idea of the timetable for the entire process. Find a new place to live before you get an eviction notice from the lender or new owner. Use the timetable you estimated for the foreclosure and its aftermath as a guide. For instance, if you believe you must leave by May 15th at the latest, find an apartment and arrange a move-in date of May 1st to ensure you have somewhere to go. If you can't find an apartment in time or don't have the money to get an apartment, speak to family and friends to find a temporary home until you're able to afford a new place. Some lenders offer financial incentive programs to relocate foreclosed owners who need help moving, so contact the lender if the lender becomes the owner after the auction. Can a Bank Sue You If You Go Into Foreclosure? 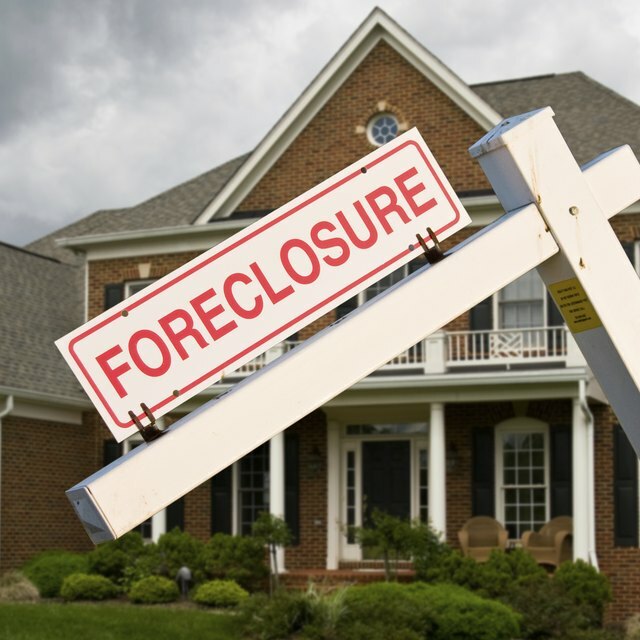 How Long After a Foreclosure Does an Eviction Start? Some scams target homeowners in foreclosure. You'll receive promises of foreclosure help if you agree to pay the scam artists upfront, but your money disappears and the help never arrives. Legitimate foreclosure help is available through local housing agencies affiliated with the U.S. Department of Urban Development, and you will not have to pay for it. Contact the federal agency to get a list of approved foreclosure counselors in your area. Don't trash the home before the lender or new owner takes it over. Feeling negative emotions at losing your home is understandable, but damaging it on purpose may come back to haunt you. For example, lender incentive programs for foreclosed borrowers who have to move require the home turned over in good condition. Some lenders allow former owners to rent the home for a period of time after foreclosure to give you time to move, but you won't qualify if the home is damaged.